NVIDIA already cleared that officially only supporting two-way SLI, the 3-way, and 4-way SLI support could be unlocked if users asked NVIDIA for an “Enthusiast Key.” But there are lots of confusion regarding SLI configurations. Now NVIDIA has confirmed exactly how they will support 3-way and 4-way SLI, but it’s not a good news for games. With the GeForce 10-series we’re investing heavily in 2-way SLI with our new High Bandwidth bridge (which doubles the SLI bandwidth for faster, smoother gaming at ultra-high resolutions and refresh rates) and NVIDIA Game Ready Driver SLI profiles. To ensure the best possible gaming experience on our GeForce 10-series GPUs, we’re focusing our efforts on 2-way SLI only and will continue to include 2-way SLI profiles in our Game Ready Drivers. DX12 and NVIDIA VR Works SLI technology also allow developers to directly implement and control multi-GPU support within their games. If a developer chooses to use these technologies then their game will not need SLI profiles. 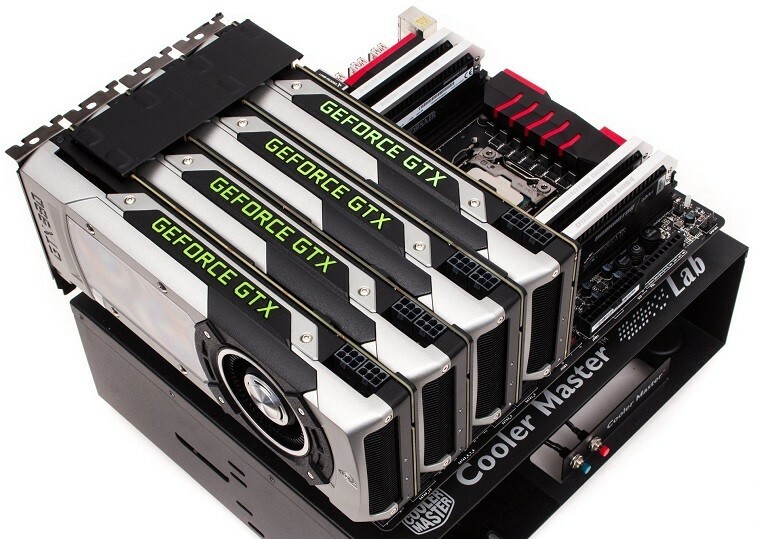 Some developers may also decide to support more than 2 GPUs in their games. We continue to work with all developers creating games and VR applications that take advantage of 2 or more GPUs to make sure they’ll work great on GeForce 10-series GPUs. For our overclocking community, our Game Ready Drivers will also include SLI profiles for 3- and 4-way configurations for specific OC applications only, including Fire Strike, Unigine and Catzilla. So that means NVIDIA will be enabling 3-way and 4-way SLI support for selected applications with no “Enthusiast Key” will require and only going to be focusing on 2-way SLI configurations in their future drivers. But with DirectX 12 and Vulkan future games will be able to support 3-way or 4-way SLI, but only if the developers want to include it, as these two APIs do not require any SLI or Crossfire profiles from drivers to work, allowing future games to use as many GPUs as the developers want, bypassing any limitations from NVIDIA or AMD’s drivers. NVIDIA makes this move as most users don’t have more than 2 GPUs in their system and 3-way or 4-way SLI keep high-end enthusiast benchmarkers happy and to allow NVIDIA GPUs to be used in world record 3-way or 4-way benchmarking runs of traditional benchmarks like 3DMARK and Unigine.